When the first Copper River salmon arrives in Alaska, it’s a big deal. The fish gets star treatment – flown on an Alaska Airlines jet and met with cheers and camera flashes as it’s paraded out on a red carpet. This fish, and the entire occasion, marks the beginning of Alaska’s Copper River fishing season. We have waited all year for some of the freshest and most delicious fish on the planet, and the time is finally here! This year, guests at the Westmark Anchorage Hotel, Westmark Fairbanks Hotel and McKinley Chalet Resort in Denali all had a taste of some of the first Copper River kings and sockeye caught in this season’s opening at special First Fish dinners at the hotels. 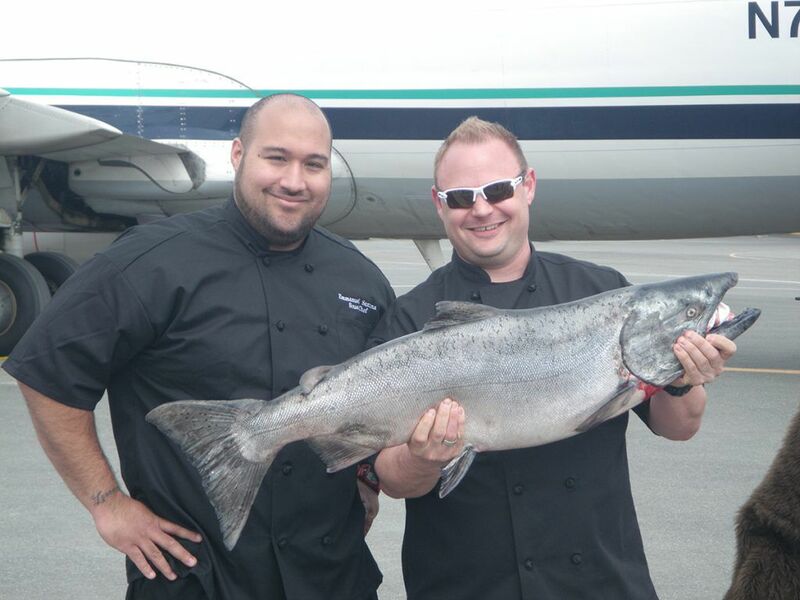 Pictured here are Westmark Anchorage Hotel’s Chef Josh and Sous Chef Manny holding up what’s sure to be a delicious dinner on May 17, just one day after the kickoff of the season. 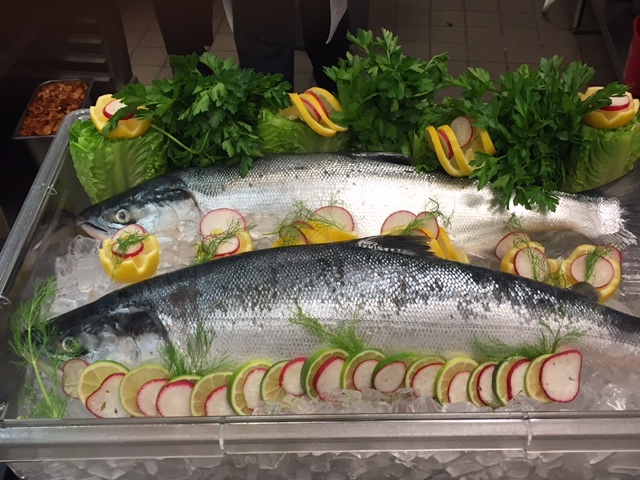 Below is part of the display of salmon ready to be presented to lucky guests at the McKinley Chalet Resort. If you missed the First Fish celebration, don’t worry! 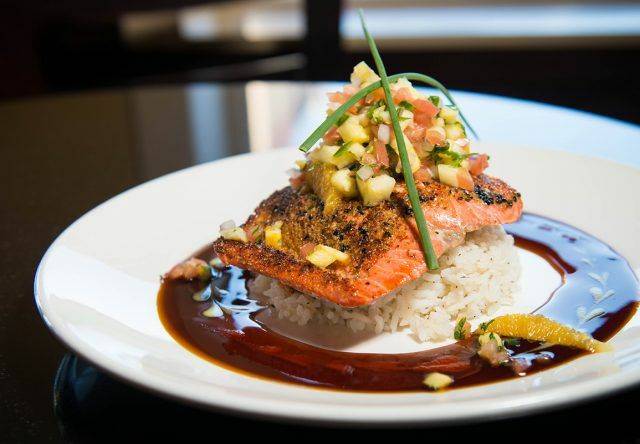 These fish were the first of many this summer, and you can expect our Westmark restaurants to be cooking up incredible meals featuring fresh Alaska salmon all season long. Arrive hungry!